Read 2 times. Last read March 14, 2019 to March 17, 2019. From heartache to heartwarming, these bad boy bikers will cast a spell on your heart. Angels in hiding are the perfect description for these heartbreakers. Going bad has never felt so good. 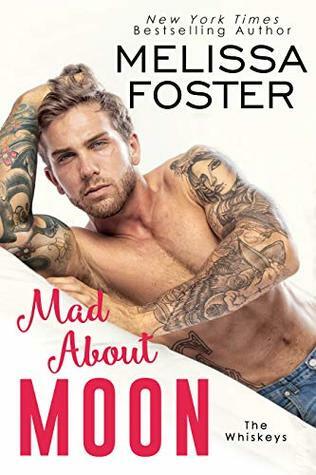 Mad About Moon is a tale of love lost and found. From young love to adult heartache, Jed and Josie were a second chance years in the making. Foster welcomes the prodigal son with open arms into a family of warriors. Can a romance built on heartbreak and secrets survive a second chance at love? With each Whiskey novel, I leave more and more of my heart behind. Sign into Goodreads to see if any of your friends have read Mad About Moon.